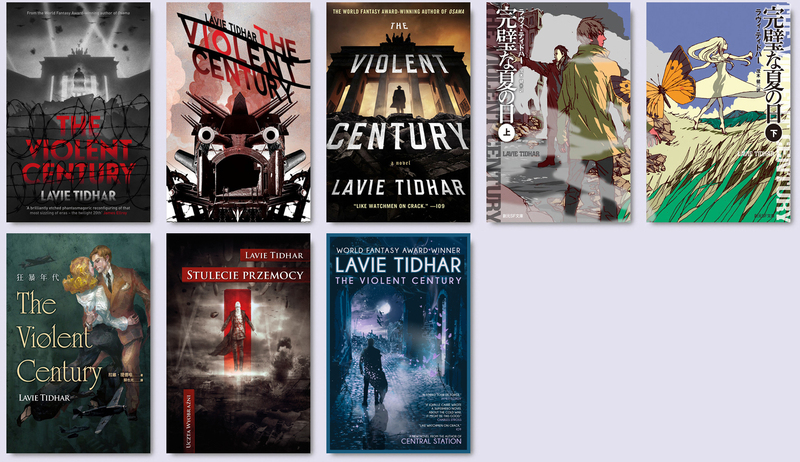 Lavie Tidhar – Zeno Agency Ltd.
British-Israeli author Lavie Tidhar has been described as ‘a political writer, an iconoclast and sometimes a provocateur’ by the Review of Contemporary Fiction. Born on a kibbutz in Israel, Tidhar’s unusual childhood has inspired a life devoted in equal parts to books and to travelling. He has lived in South Africa, Laos and Vanuatu, and currently resides in London, a city he has made his home. UNHOLY LAND is Lavie’s latest, critically-acclaimed novel. Published in late-2018 by Tachyon, it quickly found its way onto a slew of Best Of lists, including NPR, Library Journal, Publishers Weekly, Guardian and Barnes & Noble, and collected a number of starred reviews. 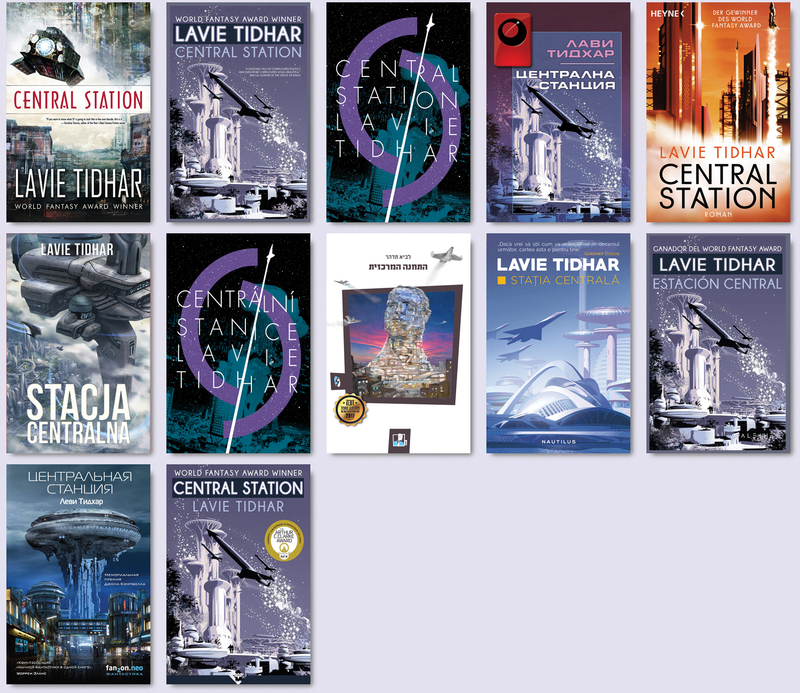 CENTRAL STATION (2016) came out to rapturous reviews, with legendary SF editor Garnder Dozois declaring, ‘If you want to know what SF is going to look like in the next decade, this is it.’ The novel won the John W. Campbell Award in 2017, the Neukom Institute Literary Arts Awards in Speculative Fiction in 2018, and has also been shortlisted for the Arthur C. Clarke Award. A MAN LIES DREAMING (2014) won the Jerwood Fiction Uncovered Prize for best British fiction, was nominated for Italy’s prestigious Premio Roma, as well as the British Fantasy Award, and was longlisted for the International Dublin Literature Award. It has been described as ‘a twisted masterpiece’ by the Guardian. OSAMA (2011) won the prestigious World Fantasy Award for Best Novel, and was a nominee for the BSFA and the Campbell awards. 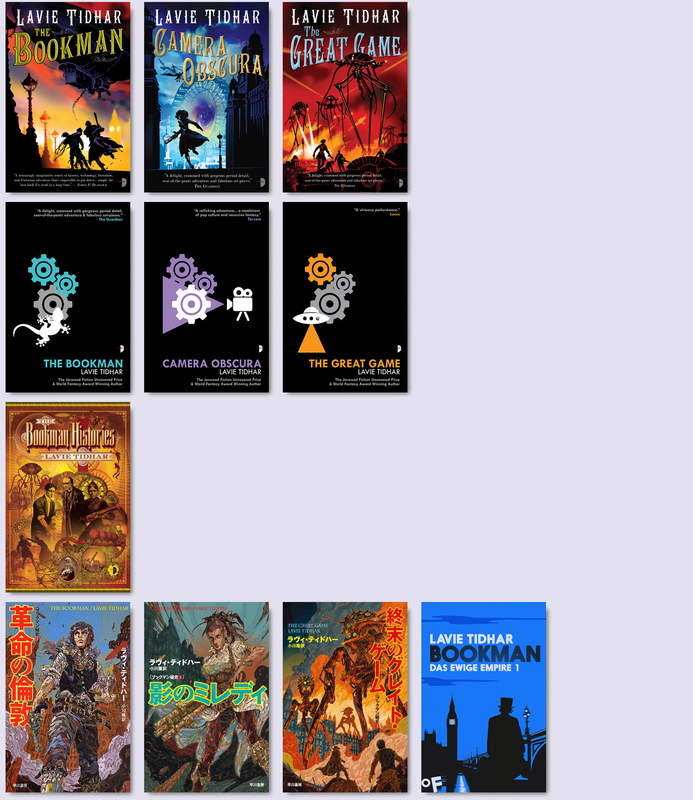 Lavie’s other awards include a 2012 British Fantasy Award for Best Novella, a BSFA Award for non-fiction, and others, and he has been nominated for many more. THE BOOKMAN HISTORIES — comprising THE BOOKMAN (2010), CAMERA OBSCURA (2011) and THE GREAT GAME (2012) — borrow equally from mythology, classic literature, pulp fiction and noir and kung-fu cinema to reimagine and comment upon the Victorian era. They are being reissued in new editions in 2016. 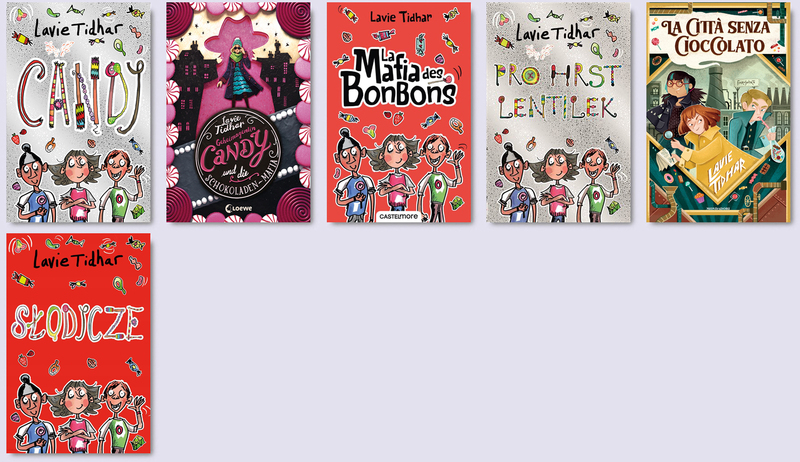 In 2018, Lavie embarked on his first foray into children’s fiction with CANDY. Other works include the linked-stories collections HEBREWPUNK (2005) and BLACK GODS KISS (2014), the short novel THE TEL AVIV DOSSIER (2009, with Nir Yaniv), short novel MARTIAN SANDS (2013) and novellas AN OCCUPATION OF ANGELS (2006), CLOUD PERMUTATIONS (2010), GOREL & THE POT-BELLIED GOD (2011), JESUS & THE EIGHTFOLD PATH (2011). He also edits the influential anthology series The Apex Book of World SF, now up to 4 volumes, and co-edited the charity anthologies JEWS VS ZOMBIES and JEWS VS ALIENS (both 2015). Lavie has also worked on graphic projects, including 2012’s GOING TO THE MOON, a picture book about a boy with Tourette’s, with artist Paul McCaffrey, and one-shot comics ADOLF HITLER’S ‘I DREAM OF ANTS’, with artist Neil Struthers. A full-length graphic novel with Paul McCaffrey, ADLER, is forthcoming from Titan Comics. ‘Whilst thoroughly exciting and engaging as a thriller, Tidhar also uses the book to explore deeper concepts such as heroism, loyalty and power. Despite their abilities, the characters who are ‘the changed’ remain very human; and many struggle with their new powers, both in terms of what they can do with them, but also how they change their relationship with those around them. The horror of war – and the moral compromises it brings – are starkly drawn, but Tidhar does not moralise. At its heart, THE VIOLENT CENTURY is a novel that revolves around one of the oldest of human preoccupations – that of love, and what actions it might drive an individual to take… THE VIOLENT CENTURY is also a somewhat sly book, and features a number of stellar cameos familiar to anyone even broadly acquainted with superhero comics… In [one] passage, Tidhar writes about the attack on the World Trade Centre in 2001. He takes that tired, over-used phrase used about Superman – ‘Is it a bird? Is it a plane?’ – and flips it on its head, turning it into an audacious, heart-breaking commentary on the death of heroes. If you enjoyed Alan Moore’s Watchmen – a book I’ve read and re-read obsessively since my teens – then you’re going to love THE VIOLENT CENTURY, which for me is very, very high praise indeed.’ — What Are You Reading For..?